Day two of poor visibility, conditions were very similar to yesterday except the snow pack was much softer from the light drizzle. Cooler over the summits with temperatures of around minus one degree Celsius. 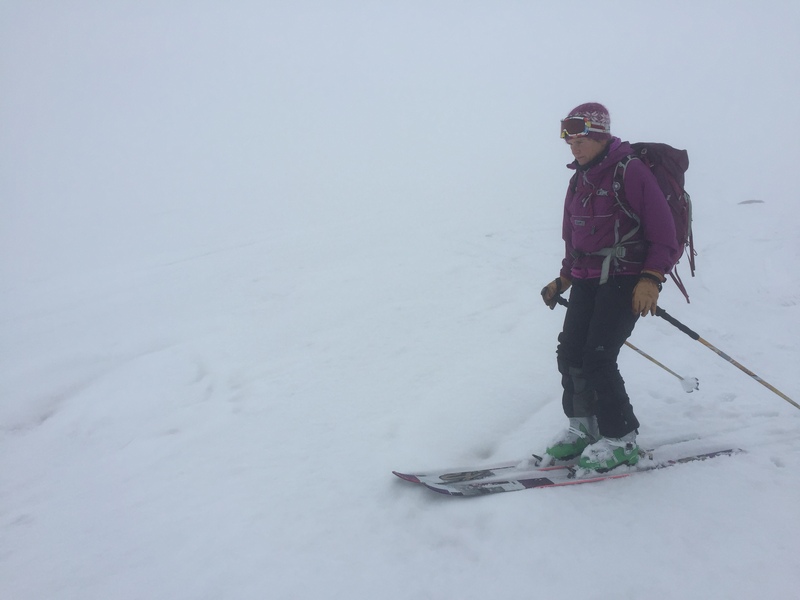 Skiing in poor visibility on soft mushy snow.